What’s better than a yummy, juicy burger? How about a yummy, juicy, stuffed burger! 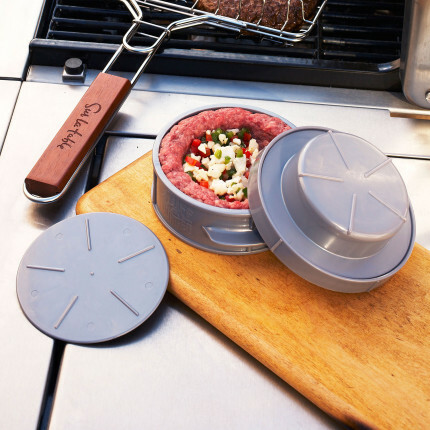 Now you can make gourmet style stuffed burgers at home with the Stuff-A-Burger Press. Use this press to fill the center with cheese, veggies, bacon, or any other ingredients you can think of. It’s simple, fun, and best of all, delicious!